Kelly Voegelin shares how she found yoga and how her training with Yoga Sukavati continues to inspire her practice and her teaching. When did you start practicing yoga? How did you find yoga? I found yoga in 2006 while living abroad in Buenos Aires. I was in search of something that would better my life on a physical & emotional level. I was very fortunate to begin with private Iyengar lessons. How has the practice changed your life? I am able to connect with my own needs, energies and emotions in a way that feels nourishing & genuine. Yoga allows me to do that on a physical & mental level. What were you doing before you took your training? I was working at Christie’s Auction House as an art handler. Why did you decide to take a 200-hr teacher training? I was ready to commit to my practice in the fullest way possible and ready to change my life. What stands out the most about your experience from your teacher training? How grateful I feel about having done it. It truly changed my attitude and approach toward how I live. How has the Yoga Sukhavati training transformed your life? What are you doing now? I am now teaching group classes, private lessons and after school art a few days a week to young children. How was it to work with Leigh? Leigh is an extremely knowledgeable and reliable teacher. She inspires me to continue my curiosities and exploration of asana and the yoga sukhavati curriculum as a whole. Her classes are fun, informative and infused with information. What advice would you give to someone who was on the fence about doing a 200-hour teacher training? Do it. You’ll never regret it. It’s an act of self care and life change. And you’ll meet wonderful, supportive friends and teachers along the way. What stood out to you about the Yoga Sukhavati 300-hour Advanced training? Practicing with seasonal change and the organs we need to nourish during those shifts has really resonated with me. What do you like most about teaching yoga? I’m able to offer a practice of self care and sustainability to those who show up to it. It not only gives me pleasure to serve my community but I always feel so happy at the beginning and end of each class. You can find Kelly teaching at Greenhouse Holistic in Williamsburg, Loom Yoga Center in Bushwick and Usha Veda in Greenpoint. Visit her website for more! 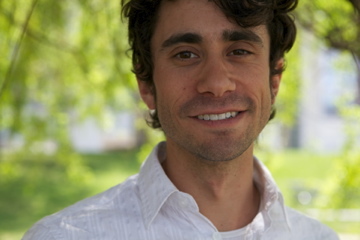 Yoga Sukhavati graduate, Seth Lieberman discusses the Yoga Sutras, living your practice and what teaching means to him. I started taking classes consistently about 8 or 9 years ago when I first moved to New York. I was working at the Jewish Community Center in Manhattan and they offered yoga classes through their fitness center. My first consistent teacher there was Michael McArdle, whose class I took weekly for several months, and lower back pain I was having disappeared completely. I’ve been practicing pretty consistently since that first class with him way back when. It’s spread so much into all areas of my life that I don’t fully know the answer. It’s all pervasive. So I’ll just respond with a few things that might help others who come from a similar background of anxiety, depression, and confusion: It’s brought the baseline for my emotional and mental stability much higher, as I came to the practice after years of severe anxiety, panic attacks, depression, and a variety of medication. I have firmer grounding after years of continuous practice. I’ve been studying Patanjali’s Yoga Sutras and this week’s sutra, 1.14, I’ve been looking at and sharing in class says (based on others’ translations) that your practice becomes firmly grounded when you do it for a long period of time without interruption and with respect and devotion to resting in your deeper nature. So I’ve been practicing for a relatively long time, 8 or 9 years, without break and sincerely, and I’ve seen some amounts of stability come after some years. I’ve experienced some really amazing, positive, immeasurable change in my life. Yoga practice hasn’t made me fundamentally different so much as brought out good qualities that were always there and subdued the ones that weren’t helping me or other people. I’m also now founding a really authentic connection with faith, which is something that I also had before practice but my practice is helping me fortify and give shape to. But there’s still a lot more ground to cover and keep covered, or make firmer, so to speak. Before I took the training I was working at the Jewish Community Center, like I mentioned above, supporting their Membership and Program Registration Department. It’s a wonderful organization that offers a broad range of services not just the Jewish community but all people, all ages, all backgrounds. I worked directly with the public in my position and also directly with almost all departments of the organization, so I had a very rich and diversified experience with the center. It was my first job in New York and I couldn’t have asked for a better place to get work and life experience. And I’ve been fortunate enough to stay connected by teaching yoga and meditation classes there throughout the year for their program of free Saturday classes, called “R&R”, and meditation and rooftop yoga with their 20s and 30s group. Like any big decision it’s really a coming together of reason and intuition and it did for me. From what I remember initially I was actually interested in teaching yoga, where as many were unsure about it when starting the training. Some people at work had suggested I’d be good at it and I began teaching them privately as a trial before I did the training. They encouraged me to continue teaching. I had experience teaching private music lessons and substitute teaching in public school when I graduated college so I felt I could build on that experience and could share something I had already benefited from. That was the reasoning part of it. In terms of the intuition, at one point when I was considering doing it, my whole body vibrated a resounding “yes.” That was pretty much what I needed to go ahead. It provided a structure for me to continue my studies in a way that I couldn’t have accomplished on my own. It connected me with a community of people with whom I’ve grown deep personal and professional connections, without whom I wouldn’t be anywhere close to sitting where I am typing things like this right now. Support for study, and support of sangha (spiritual or true community) are big ones. And, man, it was just such a potent, exciting, mind-opening, tumultuous, challenging, rewarding, unrecreateable (it’s a word now, spellcheck) experience. It was like a catalyst for personal and spiritual growth that just got even better as it metabolized after it was over. How has the Yoga Sukhavati training transformed your life? My life? Well, it has gotten me much more deeply tapped into the seasons and the potential of working with natural rhythms. In that way it’s reconnected me to both a child-like appreciation of nature and given me a more informative way of taking care of myself. Seasonal shifting can be hard on us and we don’t often realize how we are as much a part of nature as what we call nature. We are sensitive to these changes. We need to modify our lifestyle each season. Yoga is often defined as some type of integration. Adjusting to the dietary, activity, psychological, physical, and emotional callings of each season becomes an integration of yourself with your environment. It’s an art both of the intellect and the intuition. It’s been a lot of fun working with these changes and knowing how to take better care of myself and thus sharing it with my students. I’m teaching private harmonium, voice, and chanting lessons, accompanying yoga classes with live music, teaching mantra and chanting as part of yoga teacher trainings, leading kirtan, leading yoga workshops and retreats, and of course keeping a weekly yoga class schedule at Greenhouse Holistic and Loom Yoga. My background as a classically trained musician is really integrating well into my life as a yoga practitioner at the moment. Leigh is a wonderful teacher and working with her has inspired my own teaching and practicing. She is bright, creative, passionate, knowledgeable, compassionate, deeply experienced as a teacher and practitioner, and she really cares about her students doing well. She is also an artist and that type of creativity really comes through her teaching and has informed my own approach. 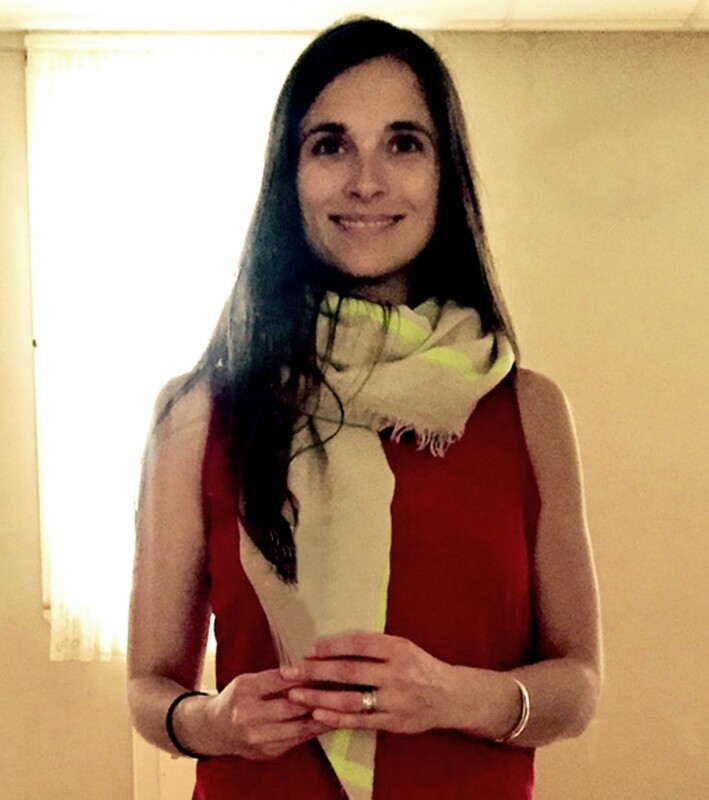 She can incorporate material from lots of different sources, like yoga, Chinese Medicine, Ayurveda, and daily life in New York, and craft it into a rich experience for students. Anyone who has taken her class knows her brilliance. She also lives her practice. Her life and teaching are so well integrated and she really embodies what she teaches. I’ve tried to adopt a similar approach to life and teaching and commitment to my students. She is really a remarkable teacher and I’m grateful to have come into contact with her. If you’re excited about it, all the cells in body vibrate “yes” at one point or another, and the timing feels right, then see what it is that is holding you back. Is it just fear? Well, then do the training. That’s what it’s for. Are there other logistics in terms of schedule or time? See if you can work them out. It might be worth it. There will always be little hang ups or doubts or things to work through when making a big decision. I did the training while I was working 40 hours per week in a management position and it was both exhausting and exhilarating and it was completely the right decision. If you can work it out now, you may not come across another time where it works or everything is “perfect.” So, if you come to your intuition and it says “yes, now”, then swing that other leg over the fence because I can’t imagine it’s comfortable spending too much time on that thing. You could be preparing for an awesome experience instead. This is the only training I know of that integrates seasonal wellness, yoga, Ayurveda, and Chinese Medicine into one training. That is unique in my experience. I very often find myself saying something in class that I need to hear, or teaching something that I need to practice. I then feel accountable and responsible for practicing it if I’m going to ask other people to practice it. It has kept me on a path. There’s a Gandhi story where a mother brought his son to her to tell him to stop eating sugar. Gandhi said “Come back in two weeks” and when he did, he told the boy sternly to stop eating sugar. He needed two weeks to stop eating it himself before he could tell someone else to stop doing it. I’m way behind Gandhi in this regard and my words often come back to me after I say something in class. So, I have to catch up sometimes but at least there’s that extra factor motivating my own practice. Teaching has provided structure and motivation and interest in being a student that I would be lacking without it. It has held up my practice at difficult times, brought me to places I wouldn’t have gone on my own, and is continuing to teach me how to be more compassionate and patient. I like that about teaching. And not having to wear slacks and a button down shirt to work, especially in the summer. You can take class with Seth at one of his regular classes at Greenhouse Holistic or Loom Yoga Center. You can also find him online, via his website or Facebook. I had been prone to insomnia pretty much since I was born, and was having an especially hard time sleeping while at college. My sophomore year around 2001/2002, my anxiety was getting a lot worse, so my mother sent me a “PM Yoga” video to do in the evening, which promised to promote calmness, peacefulness, and sleep. In 2003, I attended my first-ever class at a studio with a friend, but didn’t realize it was Bikram—I didn’t like the intense heat (especially in the summertime), so avoided it for another year or so when I decided to buy a yoga/Pilates hybrid DVD. I was doing the exercises/classes on the DVD for about a year when a friend of mine hipped me to a membership special at Williamsburg’s Greenhouse Holistic around 2006/2007, which is where and when I completely fell in love with the practice and have been going to classes on a regular basis ever since. I have my practice to thank for calming my anxiety and allowing me to fall asleep easily—now it’s a very rare thing for me to have a restless night, which I never thought would be possible when I was younger, so long was I plagued with sleep issues. As well as helping to make me stronger in my body, it’s also enabled me to open up more both emotionally and mentally, empowering me to do much more work on myself through other modalities to help heal wounds from the past so that I can be more open, more radiant, more confident in myself. My practice has become a mirror for me to see where more work needs to be done. Before my training, I had been working for years as a freelance copy editor for various websites and magazines. I was good at it and it paid well, so I just let myself get run into the ground with crazy long hours/weeks. About a year before I started my teacher training I was laid off from a website I had been working at full time and promised myself that from then on I would do more fulfilling work that meant something to me rather than clean up other people’s writing. It was then that I started my freelance writing career; I also became an assistant to a stylist, and occasionally worked building window displays for a designer to be used and shown in its numerous stores nationwide. From the very first time a 200-hour training was offered at Greenhouse I had thought about it, but kept making up excuses: I had no time, I had no money, my practice wasn’t advanced enough to teach. By the time the fourth cycle came around, I finally felt ready, like the universe was supporting my decision: I had been freelancing as a Jane of all trades and was doing lots more creative things, I had given up my apartment and was living like a nomad around Brooklyn/New York City—it just seemed like the perfect time to do it. A big reason why I wanted to do the training was to dial back my fear of public speaking. I mean, it was crippling—so intense that I would shake and sweat uncontrollably if I had to get up in front of a group of people and was unable to make eye contact with anyone. I also was really uncomfortable with the idea of touching someone or being touched. I went into my training thinking I would touch on these things, feeling like I would mostly just deepen my practice, not really teach once it was over. By the time we had to do our teaching final, though I was terrified, I got through it and felt exhilarated afterward and knew that I was going to be teaching regularly. I just felt that I had to. Plus, Leigh helped me to see that my adjustments were part of my strength as a teacher, and I realized that I really enjoyed getting in there physically with students. Fears be damned. Completing the training really just opened me up: as a human being, as a student, as a teacher, as a vessel. I feel more connected to others; I feel like I have something to share that will benefit others; I feel empowered and so far removed from the anxious, self-conscious person I was before embarking on this journey. I am a completely different person. I taught in front of 6,000 people at the Times Square Solstice event in June 2013. I was recently a part of a story-telling series a la The Moth where I go up in front of a huge room full of people and spoke for 20 minutes with hundreds of eyes on me. I am now a Reiki Master helping others to heal on an energetic level and offering trainings in order to teach others to share the healing practice. After having a powerfully healing breathwork session, I sought out my teacher and will be certified to lead my own breathwork sessions by May 2015. Becoming more aware of myself and learning to trust my intuition, I’ve taken psychic courses and recently became certified in the Akashic Records. Using all of these tools has enabled be to really step into the role of a healer, and I am thrilled to be able to share this work. I have Leigh Evans to thank for getting me to fall in love with yoga. I had been kind of “eh” about the whole thing until one fateful Monday evening, my friend and I took her Basics class at Greenhouse Holistic (a class she still teaches and that I’ve recommended countless times over) and have never looked back—I even went on my first-ever yoga retreat with her down to Mexico after just a few months of practicing with her. She is an incredilble teacher with so much knowledge, so much to share, such great energy, and she makes not only her trainings but each and every class a fun learning experience. Had she not been one of the core teachers in my 200-hour training, I probably wouldn’t have decided to do it. I learned so much in that first 200-hour training, both in the course material and through her feedback, and realized how much knowledge she has to share—I basically took the 300-hour in hopes to know all that she knows, which is still a work in progress. If it even crosses your mind once that you think you might want to do it, do it. It’s the atman, or inner self/voice, trying to speak up, trying to steer you in the right direction. Listen to it! I really liked that, though it was a yoga training, yoga wasn’t the only focus—we studied Ayurveda, Chinese medicine, and other practices that magically complement yoga to support and facilitate a deepening of awareness, taking our knowledge to new levels. It’s not just learning about poses that will keep you healthy, strong, and empowered, but how you treat your body when you’re not on the mat as well. It was so great that our studies included seasonal self-care so that we were really able to embody the practices that we were learning that are so specific to the temperature/world around us. Everything is connected, and if we can live in harmony with our environment, we have a better chance at living in harmony with ourselves. One of the most rewarding things I have experienced as a teacher is the change I see in people who have been taking classes with me for some time.Their bodies change and their mentality shifts: When once they didn’t believe they could do something more advanced or would make excuses for why they were unable to do a certain pose, now they are so focused and concentrated when they attempt a pose they never thought was possible for them to do. It’s been a pure joy to watch my students grow as they empower themselves through the practice. And I grow with them. They continue to teach me as much as I teach them. Probably more so. You can follow along with Jessica’s adventures on instagram: @jessicasuperstr or on her blog, Downward Facing Blog.